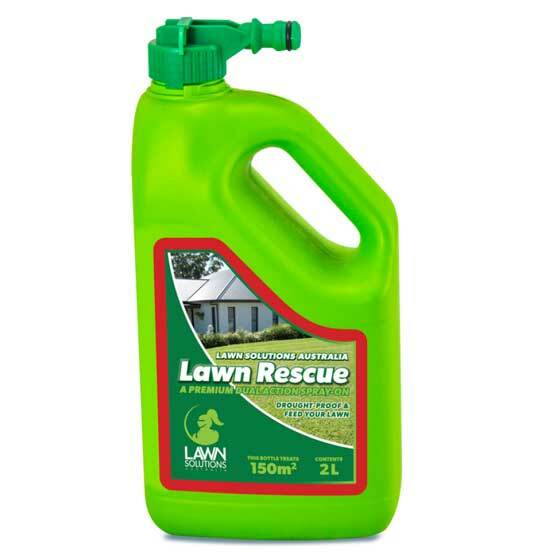 Lawn Rescue Hose On 2L : BCSands Online Shop - Building and Landscape Supplies, we supply Sydney's best! A premium dual action spray-on which will drought-proof and feed lawns. Easy to use--simply hose on. Endorsed by Sir Walter Buffalo turf and treats 150 m2 of turf.